EnviroKlenz patented technology was designed originally to destroy some of the most harmful chemical warfare agents. 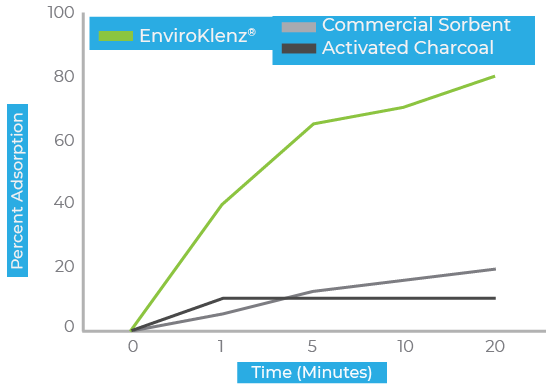 EnviroKlenz has the ability to not only contain, but to also chemically break down a wide variety of chemical compounds without releasing any harmful pollutant or chemicals back into your environment. The environmentally safe technology is backed on a substantial intellectual property portfolio, technical capabilities, third party validations, and market-proven products. 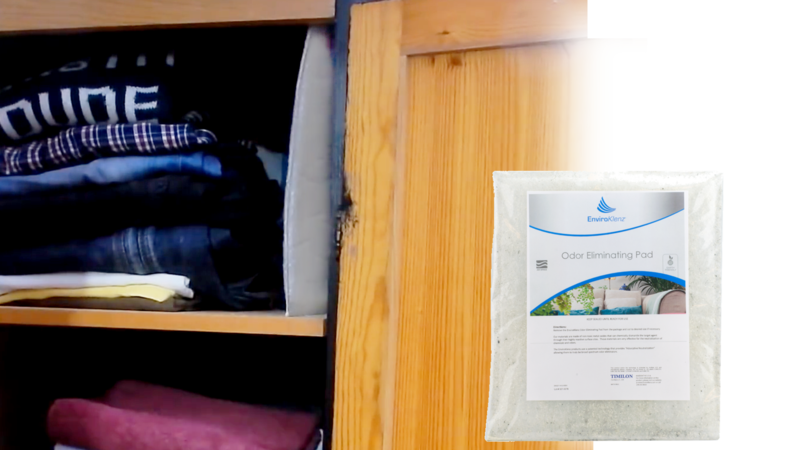 For the comparison, EnviroKlenz® technology and a commonly used absorbent were challenged against a variety of target chemical compounds that broadly encompass different types of chemical structures and fragrance profiles. The challenge compounds were: cadaverine (a toxic diamine), isovaleric acid (organic fatty acid that can be present in essential oils), acetaldehyde (a common VOC, indoor air contaminant, and component of cigarette smoke), ethyl mercaptan (a powerful sulfur-containing pollutant), and ammonia (a commercial cleaning product and caustic volatile material). EnviroKlenz technology is not just effective, it is fast with a high affinity for chemicals. 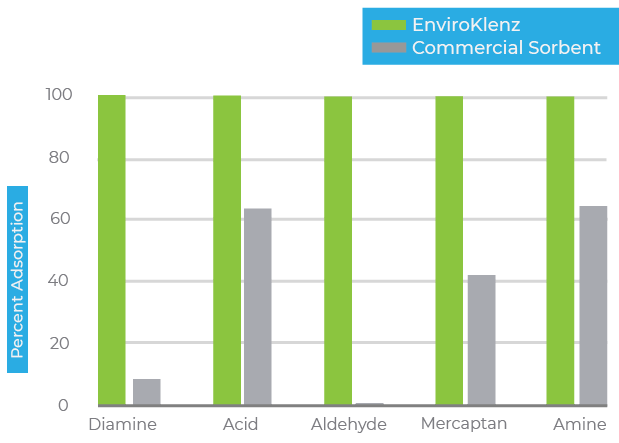 In this chart, we have compared EnviroKlenz technology to activated carbon against a common chemical pollutant and carcinogen, Acetaldehyde. Acetaldehyde is a common contaminant in enclosed environments and ambient environments. Since people spend a significant portion of their time in indoor environments, the exposure to this pollutant is quite common. In your home, a possible source of acetaldehyde includes building materials, wood products, plastics, paints, and furniture just to name a few. In this test, an acute release of formaldehyde occurred in an environmental chamber. 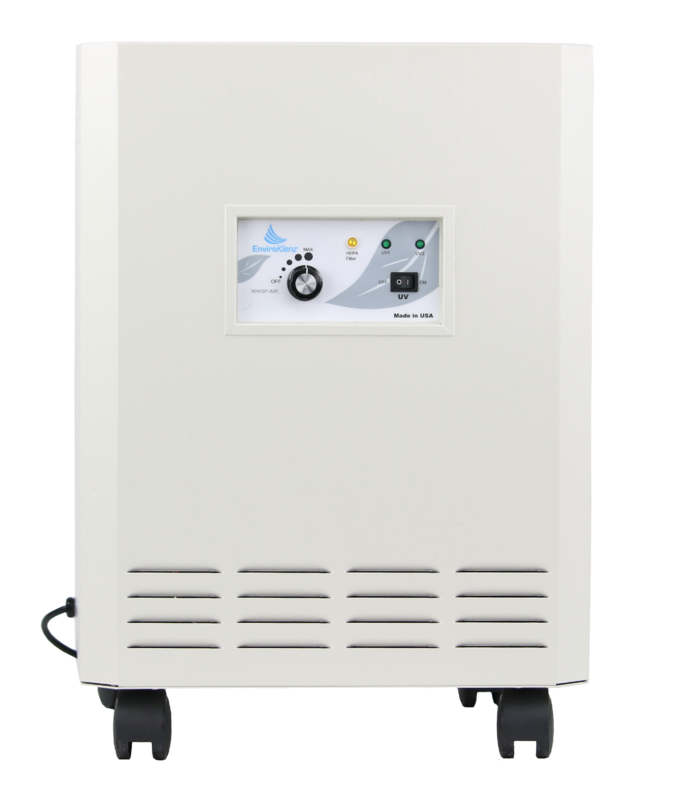 Once the formaldehyde levels equilibrated around 100 ppm, the EnviroKlenz® Mobile Air System was turned on to rapidly remove the compound from the chamber air. 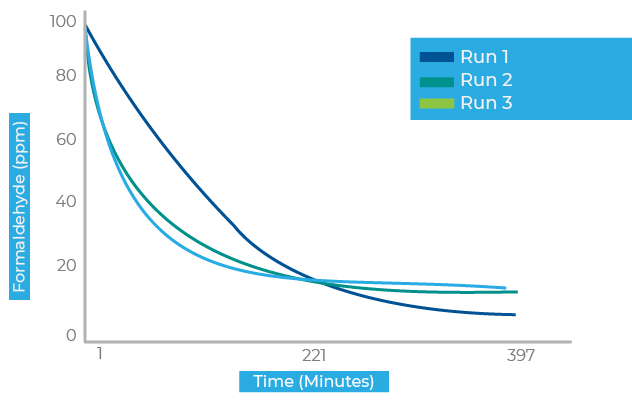 The test was repeated using the same EnviroKlenz® Air Cartridge to show capacity. Once the chemical contaminate is inside the proprietary EnviroKlenz® Air Cartridge, an adsorptive neutralize process occurs. This means the chemicals are retained, without being released back into the environment. Due to its enhanced chemical reactivity, EnviroKlenz materials have the ability to chemically dismantle a variety of highly toxic compounds. Common pesticide structures have been studied and EnviroKlenz is capable adsorptive neutralization of these compounds. 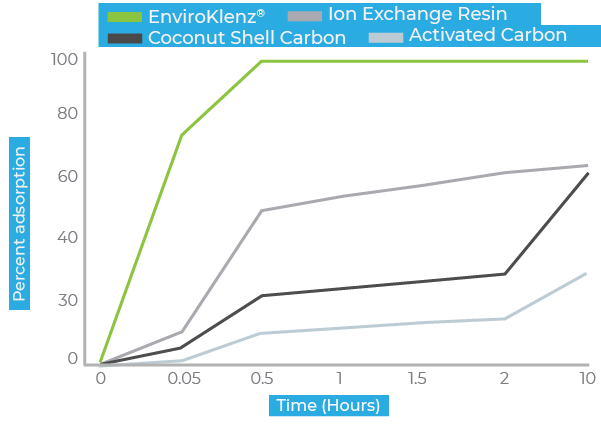 In this graph, the superior performance of EnviroKlenz is seen by the rapid adsorption of the pesticide when compared to other technologies, including activated carbon. The Mobile Air System Standard and UV Models are both industry leaders when it comes to VOC and chemical removal and neutralization. 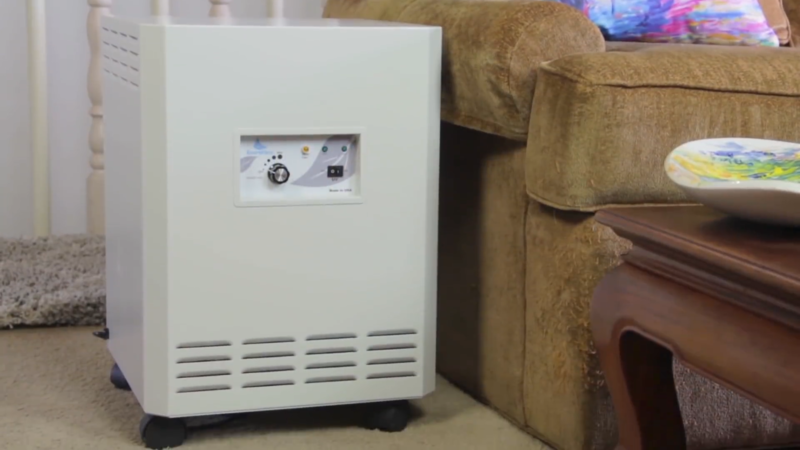 They are both equipped with medical-grade HEPA filters in addition to our patented earth mineral-based air cartridges. 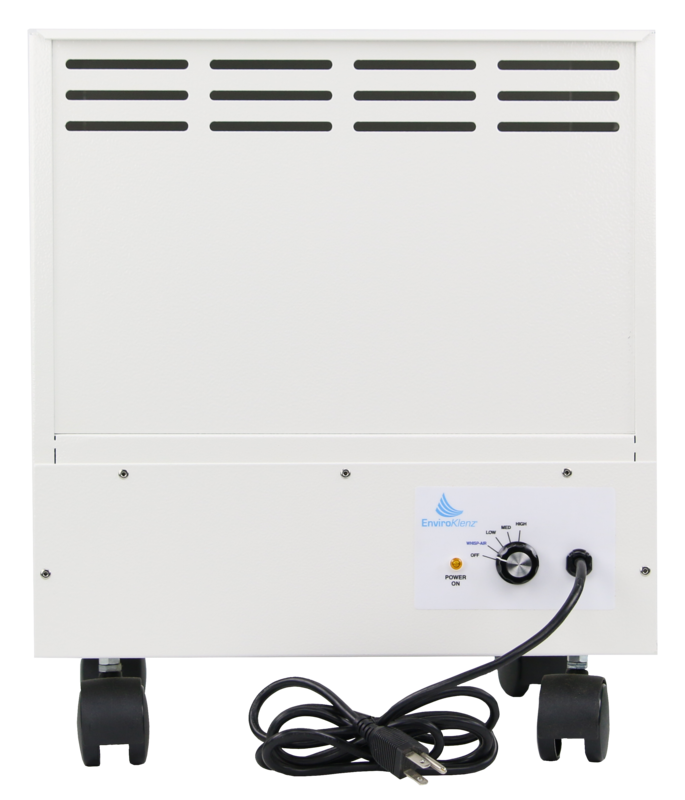 The UV Model has the added benefit of killing any bacteria, spores, and microorganisms that are caught onto the HEPA Filter. 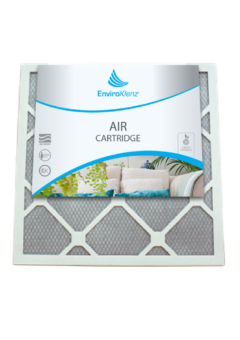 The EnviroKlenz HVAC Air Cartridge is custom made and can be used in place of your usual HVAC filter for particulate capture equivalent to a MERV 8. 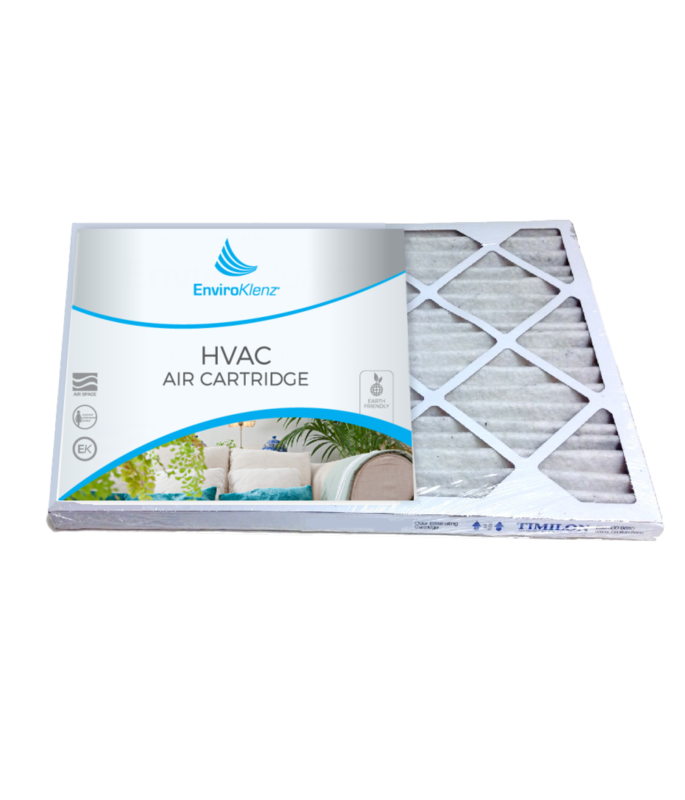 In addition, the Air Cartridge contains our patented earth minerals to adsorb and neutralize VOCs and Chemicals as your HVAC system circulates your air. 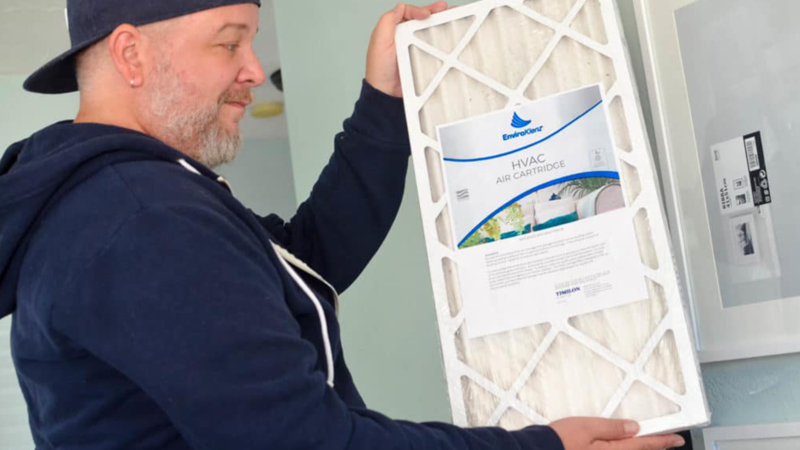 This product is best for homes that utilize their AC and furnace systems regularly throughout the day. 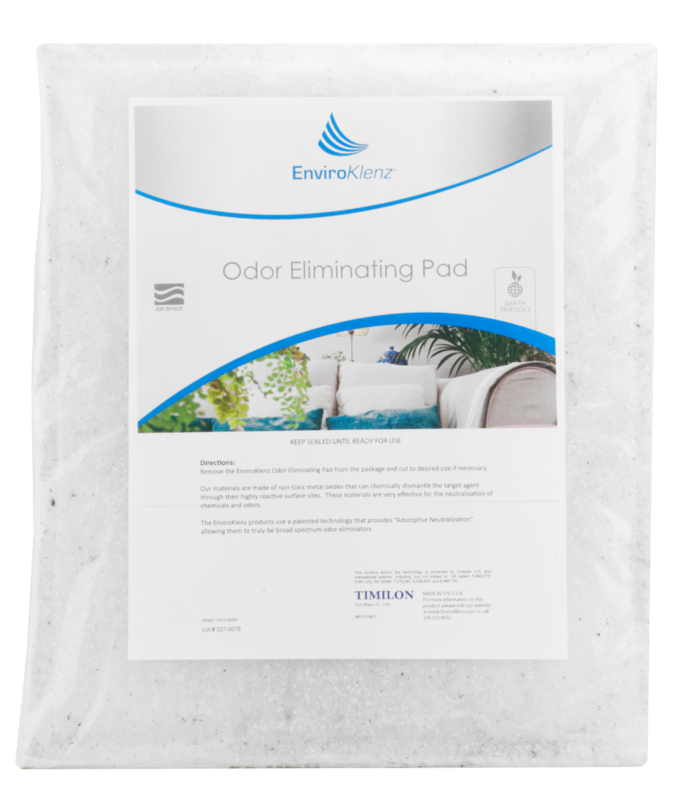 The EnviroKlenz Odor Eliminating Pad is 14″x12″ and can be cut down to fit into small areas like closets, bags, luggage, and closets that have a lingering chemical odor or malodor. As the air moves about the area, the earth minerals in the Odor Eliminating Pad will adsorb and breakdown the offending odors at the chemicals source.